We also have the facility of producing all kinds of Instruments & Gauges, be it single trip or multi trip, within our unit. We produce precise meter that show accurate readings and results. These undergo various kinds of test and check to ensure the performance is not compromised. 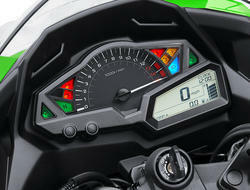 With our expertise and trustworthiness, we are engaged in offering an optimum quality range of Digital Speedometer. pulse programming range: 2500 to 128000 pulses per unit with distance. 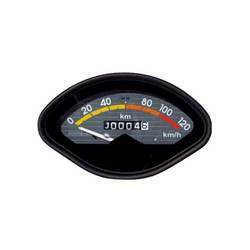 We are one of a trustworthy name in manufacturing speedometers. These are manufactured as per the international quality standards whose performance is highest. These speedometers are used to indicate the speed of an automobile in miles per hour, kilometers per hour or both. Use For Mahindra ChampionNote:- We Only Deals in Tempo, Minidoor , Champion & Vikram Commercial vehicle parts.